Cambridge has been named as one of the first UK locations to benefit from city-wide full fibre connectivity following the announcement of private investment totalling over £20m from CityFibre. With work in Cambridge due to start in the New Year, CityFibre and Vodafone are accelerating Britain’s shift away from copper, bringing full fibre infrastructure to one million UK homes and businesses by 2021. CityFibre is working closely with both Cambridge City and Cambridgeshire County Councils to plan and co-ordinate the build so it maximises the benefits of full fibre for the wider community. The new infrastructure will build on CityFibre’s existing 44km metro network, bringing transformative connectivity to homes and business across Cambridge for the very first time. Full fibre connectivity will enable people across the city to receive superior and more reliable broadband services, capable of Gigabit speeds (1,000 Mbps). Vodafone will use CityFibre’s network to bring Vodafone Gigafast Broadband to customers, delivering affordable fibre connections all the way to their home or business. Cambridge joins Milton Keynes, Peterborough, Aberdeen, Coventry, Huddersfield, Edinburgh, Stirling, Southend-on-Sea and Leeds which have all been confirmed as the first UK locations to benefit from city-wide full fibre connectivity. Greg Mesch, CEO at CityFibre, said: “We are committed to making Cambridge one of the best-connected digital communities in the UK. Once complete, this investment will bring transformative connectivity directly to doors of public services, homes and businesses – across the entire city – for the very first time. With the full support of Cambridge City and Cambridgeshire County Councils, work on installing the new full fibre infrastructure will begin in the New Year. CityFibre will use modern build techniques to deploy the network quickly, while minimising disruption to residents. Once completed, almost all businesses, and for the first time, homes, in Cambridge will have full fibre access. 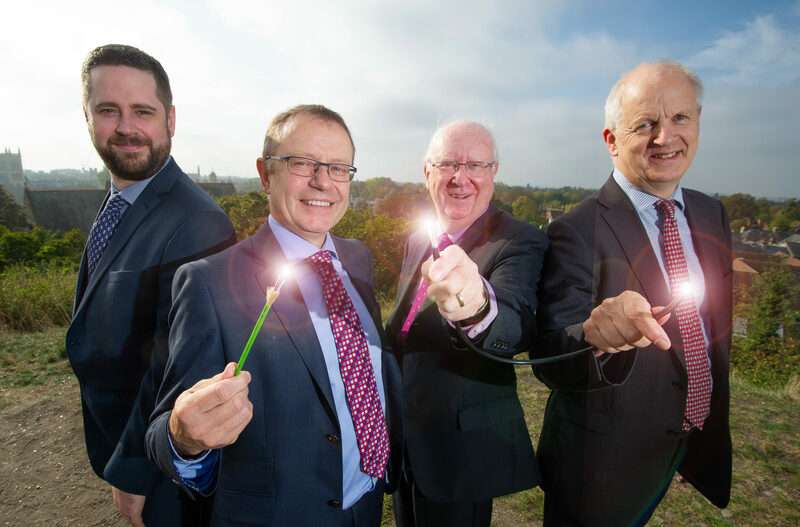 Cllr Lewis Herbert, Leader of Cambridge City Council, said: “Its great news for Cambridge businesses and residents that infrastructure firm CityFibre is to invest over £20m in our city in their next wave of citywide full fibre networks. Construction has already started in the partnership’s launch cities – Milton Keynes, Peterborough and Aberdeen – and services are now live for the first customers in Milton Keynes, with Vodafone already taking orders for its Gigafast service. *Economic data calculated by Regeneris. The report can be viewed here.